Volunteer For Meating The Need! If you would like to volunteer, please provide us your email address and we will email you an invitation to participate in our next night at the shelter. Your help will allow us to serve more to those in need! 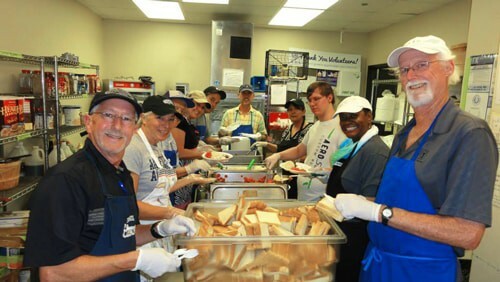 We serve dinner at the St. Vincent de Paul Kitchen in the Prospect’s Courtyard at Haven for Hope Homeless Shelter once a month from 4:30 PM to 6:00 PM.